With the rise in Ohio’s aging population comes a rise in medical needs. Many families believe that they will not be able to provide the level of care that a parent or grandparent might need. Some elders do not have families that can fully support them physically and financially. As a result, nursing homes are reaching capacity across the state. When a nursing home and its staff operate properly, elders can find comfort and peace. When they do not fulfill their obligations, however, elders may suffer in a situation over which they have no control. If you have discovered that your loved one is being neglected or abused in a nursing home or other long-term care facility, you have legal options. Your loved one deserves justice, and you may need financial compensation to help cover the damages. Elk & Elk focuses on fighting for our clients’ recovery in the aftermath of injuries. Our lawyers pair a deep knowledge of medical malpractice law with decades of combined experience to reach the most ideal outcomes possible. At a free consultation, we can explain what to expect from your nursing home negligence claim. Get your case evaluation at 1-800-ELK-OHIO today. According to the federal government website Medicare.gov, the average number of residents at Ohio nursing homes is around 75 the average across the United States is 86. The percentage of long-stay residents with pressure ulcers is 4.79 percent; the percentage of long-stay residents who lose too much weight is 7.41 percent; the percentage of long-stay residents who develop a urinary tract infection is 2.23 percent; and the percentage of long-stay residents who have had one or more falls resulting in a major injury is 3.51 percent. Sadly, nursing homes in Cleveland are known to be some of the lowest-rated in the country in terms of quality of care. There are many factors that can play a role in these problems such as understaffing or improper training for employees. Unfortunately, authorities cannot always catch serious problems within these facilities before residents suffer harm, and negligence goes underreported. Financial abuse may be coupled with verbal or physical abuse, or it might fly under the radar without any obvious signs. Staff members may manipulate or intimidate an elder for financial gain. Theft is also a frequent problem in long-term care facilities, which may be due to a lack of security. Economic exploitation cases may involve many legal factors, including an elder’s estate plan or a family’s inheritance, billing practices, financial powers of attorney, guardianship, fraud and coercion. If your loved one is in a nursing home, financial abuse may be difficult to detect, but it can have a significant impact on his or her security. Elders who have memory-affecting conditions such as dementia are particularly vulnerable to abuse – and they are less likely to report it. This is likely due to their inability to remember why or how they suffered injuries. Other mental conditions could also make it difficult for elders to recognize and speak up about poor care. However, abuse is never the elder’s fault. Staff members have a legal duty to protect them and to not take advantage of their situation. Although dementia and mental disabilities are a risk factor for nursing home abuse, those suffering with such conditions do not deserve a lower quality of care. If your loved one suggests that he or she may be receiving poor care, take those concerns seriously. Nursing homes are responsible for the safety and well-being of the aging adults in their care. When they fail to provide adequate care, the injuries and losses may be devastating. 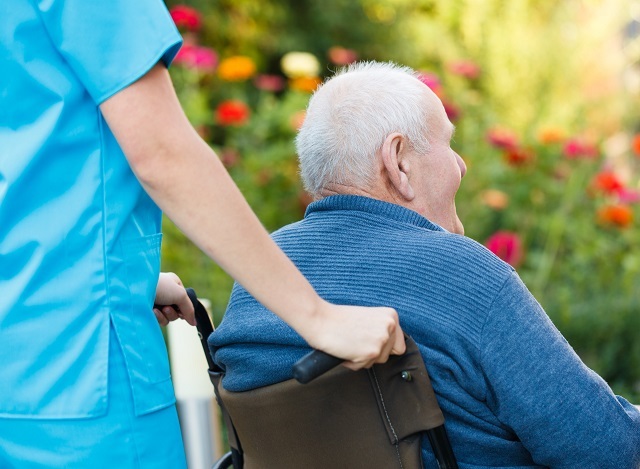 A lack of proper medical care in nursing homes may cause recurrent infections, serious illness, falls, internal bleeding, depression, an overall lower quality of life and loss of life. Elderly victims may need extensive medical intervention. In some cases, they may never recover from their injuries. Sadly, the signs of neglect are not always obvious. Once you notice that your loved one is not healthy or thriving at a facility, however, voicing your concerns could prevent further harm. Speak to the nursing home employees or make a formal complaint with either the Ohio Department of Health or the Ohio Attorney General. If you believe that your loved one is facing an immediate risk of injury or death, call emergency services and remove him or her from the premises if possible. Nursing home negligence and abuse are forms of medical malpractice, which means that you may be eligible to sue if your loved one suffers these consequences. Speak with an experienced attorney at Elk & Elk to learn about your legal options. The purpose of a lawsuit is both personal and practical. Fighting for justice and asserting your right to compensation are equally valid reasons to take legal action. Although you may have strong moral and emotional reasons for suing a negligent nursing home, Ohio courts focus on the fiscal value of civil claims. Every loss or injury due to negligence is expressed in a dollar amount. To win your case is to win an award of money (or to negotiate a fair settlement amount) to help you and your loved one recover from the distressing experience. With a comprehensive review of your situation, we can help you determine the full extent of damages as well as the potential value of your claim. If you decide to proceed with filing your claim, our skilled lawyers can represent you and your loved one. We will prioritize your interests and the health of your loved one above the interests of the nursing home, which may be more concerned with public image and revenue than justice. Encountering potential or certain cases of nursing home abuse is difficult. Many families and friends don’t know what to do next or how to keep their loved ones safe. For an issue as serious as neglect at a Cleveland nursing home, do not hesitate to consult a lawyer. Elk & Elk can explain your options and offer precise legal advice. Call 1-800-ELK-OHIO or message our team online for a free initial consultation.